Mission Farms includes the tradition of upscale residential living above charming boutiques and restaurants. The Village at Mission Farms, “Where Urban Meets Suburban.” From the stained concrete floors, to the artistic design of the ceiling lighting, every detail has been carefully selected to transport you from Midwest Suburbia to cosmopolitan urban living. With an onsite personal trainer, massage therapist, ultra-modern 24 hour fitness center and clubhouse, dry sauna, and tanning, plus mixed use retail store fronts, our residents never have to go but a few steps to enjoy the convenience and amenities of our property. The Village at Mission Farms are new apartments located on the west side of Mission Road. For more information contact Emily at (913) 341-6200 or email missionfarms@greystar.com. Mission 106 is a brand new luxury apartment community located in Leawood, Kansas at 106th and Mission Road in the heat of Mission Farms. This exclusive location is just steps from some of the area’s finest dining, shopping, golfing and more. We welcome you to experience everything our community has to offer, while you enjoy a new level of luxury living. 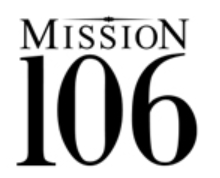 For more information call (913) 381-0400, email leasing@mission106living.com, or visit our website.